My name is Dan Blank, and I help writers develop a human-centered approach to book marketing and reaching their readers. I have had the privilege of working with thousands of writers via consulting, workshops, and courses. 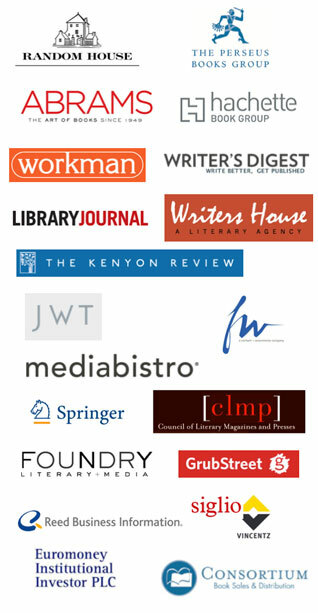 I have worked with amazing organizations such as Penguin Random House, Hachette Book Group, Sesame Workshop, Workman Publishing, J. Walter Thompson, Abrams Books, Writers House, The Kenyon Review, Writer’s Digest, Library Journal, and many others. I am the author of Be the Gateway: A Practical Guide to Sharing Your Creative Work and Engaging an Audience. My writing has been published in the book Author In Progress, Poets & Writers magazine, Compose Journal, the National Endowment for the Arts’ Art Works blog, Writer Unboxed, and Folio: magazine. I have appeared in Professional Artist magazine, 99u, and the book Blogging for Writers. I work with writers and creative professionals to to help them achieve their goals via one-on-one consulting, and a mastermind program. For more than thirteen years, I have sent out a Friday email newsletter featuring my best stuff. Sign up here. I produce a podcast where I talk to writers and artists about the steps they take to find success with their craft. You can find it here. You can also find me on Twitter, Facebook, Instagram, and LinkedIn. You can read about the details of my work with one author, Miranda Beverly-Whittemore, in this Poets & Writers article: Launching a Best-Seller Without Selling Your Soul: The Rewards of Self-Promotion. You can also see my official resume over on LinkedIn. You can find more information about my experience speaking and running workshops here. I have been an artist, a poet, a musician, a paper sculptor, a writer, a publisher, a photographer, a teacher, a radio DJ, a cartoonist, a designer and an entrepreneur. As a kid, I went to art school. I was the “art kid” early on, which came with a certain sense of pride, even when my brother made me illustrate all of his book report cover pages. Each week, I ventured into the basement of Mrs. Flanagan, my local art school instructor, whose walls were covered with murals and floors covered with splotches of paint. It’s hard to describe how creative that cold dark basement felt as a kid. In High School, I lucked into the fact that my local HS also had a separate wing in the building where kids studied performing arts: dance, theater, video, etc. I wasn’t a part of that program, but most of my friends were. I also had friends such as Pixie and Jay Alders, who are now professional photographers and artists, to while away the after-school hours with. I got into poetry and photography, and grew into the “alternative” kid with the funny haircut who spent as much time as possible chatting with my creative writing teacher and English teacher. 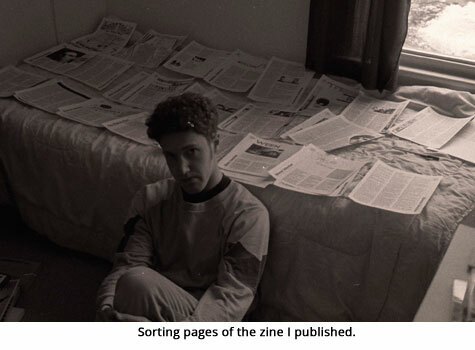 I took hundreds of black and white photographs, and made a poetry book out of sheet metal. Oh, and I listened to a lot of The Smiths, New Order, and The Cure. It was the 80’s, after all. 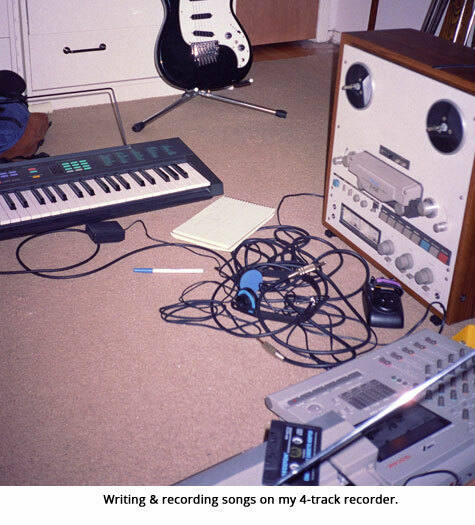 In college, I spent more time publishing a music zine than I did doing homework. I was simply more motivated to be the first person to publish this monthly magazine, than to be the 1,000th kid to fill out the same xerox’d set of questions about Beowulf. 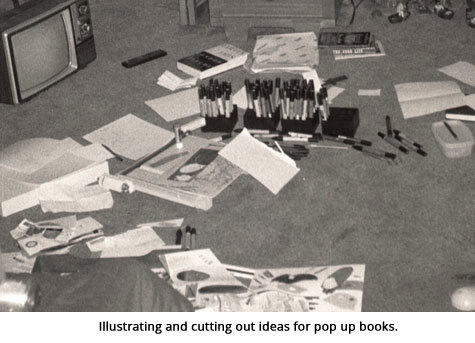 But the experience of running a zine made me a publisher from start to finish. The zine focused on Britpop music, and I developed contacts at all the major record labels. I got to interview most of my favorite artists, got boatloads of free CDs and concert tickets, and got deeply in debt by paying for printed copies of the zine in an age before blogs. When you earn $3.50 an hour, it takes YEARS to pay off printing costs of $500+ per issue. Years. That zine put me thousands of dollars in debt, and taught me a lot of lessons about the business of being a creative professional. During this time I was also a college radio DJ, a cartoonist for our campus newspaper, and interned at Rutgers University Press. Oh, and I graduated from Rutgers University’s School of Communication, Information and Library Science. Can’t forget that. 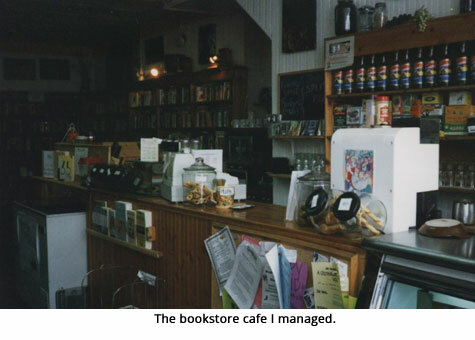 Just after college, I was the manager of a local independent bookstore and cafe, where I helped schedule weekly musical acts, poetry readings, art exhibits, and other activities. I began getting really into paper craft, book arts, and paper sculpture, which resulted in me spending about 3 years developing a series of pop up books. It was a super creative time filled with odd creative projects such as short films, sculpture, writing, and illustration. All long locked away in storage boxes. Again: this was before the age of blogs or Instagram or YouTube. I also played in a band that never played a single show, even though I have hundreds of hours of recordings locked away somewhere. How sending a newsletter to 9 people launched my career. Why I took the risk to start a company the month before my first son was born. Want to know more about any of this? Feel free to reach out to me. You can also find me on Twitter, Facebook, Instagram, and LinkedIn.